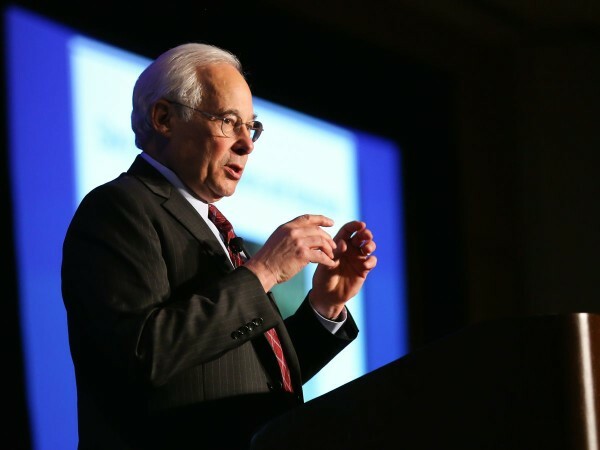 Don Berwick, founder of the Institute for Healthcare Improvement (IHI), gave an inspiring keynote at the Carnegie Foundation’s second annual Summit on Improvement in Education. Berwick shared lessons from the use of improvement science and systems thinking in health care settings and proposed how these lessons could apply in education. Berwick began by discussing the similarities between health care and education. Both fields are largely publicly funded, are for the social good, possess roots in a professional working base, deal with human beings and relationships, and are under intense public and media scrutiny. Although he does not want to “fall victim to the assumption that [the two fields are] just the same” he does believe that “maybe we can learn from each other.” Berwick believes education can learn from the quality improvement movement in health care that has countered an overreliance on inspection and replaced it with a balanced approach to improvement. After walking through the history of quality improvement in health care, Berwick said, “Then and now there is a hegemonic view about what to do when there are problems.” When analyzing data on performance (which both education and health care are increasingly well-equipped to do), there is a tendency amongst managers to want to address the “bad apples”—i.e., those people with the lowest performance. However, Berwick argued that a reliance on inspection to improve does not work to advance performance. Merely culling the worst performers out of the workforce not only does not improve results, but it also creates a culture of fear that is an anathema to an open improvement environment. Any field needs some degree of culling, but it is not a model for improvement. But without using reliance on inspection, what can we do to get the improvement that the health care and education fields need? Berwick argued that we need to start looking at these sectors as systems. The “first law of improvement” that Berwick said is “tattooed on the body” of everyone that works with IHI: “Every system is perfectly designed to achieve exactly the results it gets.” To illustrate this, he offered the analogy of a driver trying to make a car go faster. When the driver has reached the top speed, he or she cannot make the car go faster by telling it to go faster or by “giving it an incident report in its file.” Since the top speed of a car is dependent on the system, then if you want improvement, you need to change the car, i.e., change the system. For health care and education, if you are unsatisfied with the current performance, you need to change the system. Simply urging individuals to do better does not make them better. Relying exclusively on the performance of individuals undervalues the potential for human error and the limits of human capacity. Systems thinkers do not “ask people to be superhuman; they accept people for their humanness and help them avoid error.” Education practitioners must learn that a system designed around making every individual superhuman does not attend to the complexity present in an interdependent system. This change in mentality is crucial. And reaching success is possible with it. Berwick gave a number of examples of health care practitioners using systems thinking and innovations to improve care. For example, the Southcentral Foundation’s Nuka System of Care in Alaska, the native-owned system of care for 60,000 Alaskans, has thoroughly redesigned care through a series of ten principles. One of the principles focuses on team-based care, for which doctors, nurses, nutritionists, and others sit together to treat patients together: “You cannot be cared for at Nuka without being cared for by a team.” As a result of this and the other principles, Nuka saw, from 2004 to 2009, 50% reductions in emergency room visits and hospital admissions, 65% reduction in use of specialty services, and over 90% patient and staff satisfaction ratings. This example and others show that focusing on changes in systems through innovations can lead to improvement. Yet while it has become clear that using these methods can lead to better outcomes for a lower cost, the problem is that existing systems are very powerful in acting against change. This places a large burden on leaders to challenge the status quo in order to make changes in their system. In order to shift the energy from inspection-oriented improvement (which doesn’t work) to change-oriented improvement (which has been proven to work), Berwick argued that three things have to occur: a new technique, a new culture, and a new strategy. When you’re in an interdependent, complex system, you need a technique that allows people to work together using common tools and principles. Berwick proposes the Model for Improvement as a powerful learning system. It forces people to answer three questions: What are we trying to accomplish? How will we know that a change is an improvement? What change can we make that will result in improvement? Along with a method for testing, these three questions allow one to be focused when developing their aim, measures, changes, and testing mechanisms. But changes will not result in improvement if the workplace does not possess a culture that values testing, systems knowledge, and change. Berwick offered IHI’s Breakthrough Series Collaboratives as emblematic of a project for which leaders created a culture focused on people learning faster together rather than separately: “If you set up an environment where testing changes is the norm, then faster learning will happen.” Establishing these norms of moving toward change is critical to countering the norms that typically inculcate fear. Lastly, a strategy is needed in order to reorganize systems around continuous learning and development. Leaders can set the direction for improvement work in order to make an interdependent system perform well. Berwick concluded by offering lessons for the education field from health care. Perhaps the most important was to “abandon reliance on inspection to improve. It infects our culture, it infects our world.” He argued that health care has advanced a great deal by keeping a focus on patients, highly valuing cooperation, and investing in measurement for learning. Finally, Berwick urged attendees to connect with and foster the kind of energy that motivates people to continually improve. As Berwick said, “The mainstay of improvement energy is a trust in the native capacity of people to want to learn.” With this in mind, we can accomplish the kind of change that our students need and deserve. Angela Duckworth gave a rousing keynote at the Carnegie Foundation Summit on Improvement in Education presenting the value of grit and the ways that grit can be cultivated and developed. A recent post in the Health Affairs Blog discusses the challenges of scaling interventions, a problem known as the “Iron Law” of evaluation. The piece outlines four reasons why the “Iron Law” occurs and how we can reduce its effect.